Walmart has announced the winners of their Get On The Shelf competition. The grand prize winner is Humankind Water. Yep, bottled water took the top prize. But it was bottled water with a unique pitch. 100% of the net profits generated through the sales of the water go to help supply clean drinking water throughout the world. “All the other products are great, but you can either put one more gadget on the shelf or save 10,000 lives,” said company founder, T.J. Foltz. We first told you about the “Get On The Shelf” competition in early January. More than 4000 products were submitted to the contest. Shoppers could view and vote on their favorite products – Walmart says that more than one million votes were cast. In mid-April, the top ten finalists were identified and the final voting began. The three top finalists will be sold through Walmart.com. 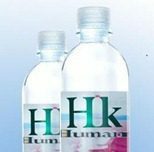 The grand prize winner, Humankind Water, will receive shelf space in actual brick-and-mortar Walmart stores. Coming in second and third place were SnapIt Eyeglass Repair Kit and PlateTopper. The SnapIt Eyeglass Repair Kit is an alternative to those pesky little screws that are so hard to get into the hinges of eye glasses. The screws in the kit include a feeder tab that slips down through the hinge to get the screw started. After the screw is inserted, the feeder tab can be snapped off. The PlateTopper is an airtight lid that fits on regular dinner plates. It’s intended for storing food and leftovers, and is microwave and dishwasher safe. All three products are now available on Walmart’s website at: http://brands.walmart.com/getontheshelf.